claudiacarola, DreamDance298 und Baccara gefällt das. DreamDance298, claudiacarola und Baccara gefällt das. Lotta, Baccara und DreamDance298 gefällt das. Lisa Marie Presley‏Verifizierter Account @LisaPresley2. Feb. He went down all the items of the list - including household furnishings, miscellaneous jewelry, stocks, bonds, mutual funds, retirement funds and pensions and her father’s trust. ‘This is somebody who is making a deliberate choice to fail to disclose,’ he told the court. Sturman asked Judge Cathcart to compel Presley to turn over all her financial documents and and to impose a financial penalty on her for not disclosing required information. He also said he was ‘about to’ hand over Presley’s 2016 tax returns to Lockwood’s lawyers. Lisa Marie, who turned 50 last week, showed up at court dressed in a pink and gray mini-dress with a pink bow at the front, blue spike heels and her hair in a pony tail. She is fighting Lockwood’s demands, including a claim for hundreds of thousands of dollars in attorney fees. Musician Lockwood, 56 - who arrived at the courthouse wearing a gray suit and tie with a black fedora and sporting a salt ’n pepper beard - married Lisa Marie in 2006 and the couple has nine-year-old twin daughters, Finley and Harper. Whether Lockwood is entitled to spousal support from Presley hinges on whether a post-nuptial agreement - which the couple signed in 2007 - is ruled valid or invalid by the court. The agreement said that neither party should have a claim on the other if the marriage broke up. But Lockwood is demanding that the prenup should be torn up, saying he was coerced into signing it. Fishbein argued that there was no point in contesting whether Lisa Marie has to pay spousal support to Lockwood or not. Judge Cathcart decided to continue (postpone) the case until after the post-nuptial issue is settled and referred it to a different courtroom at LA Superior Court where Judge Thomas Lewis set a trial date of August 13. But Judge Lewis also scheduled a mandatory settlement conference for June 8 in the hope that Presley, Lockwood and their lawyers can reach an agreement without having to go to trial. Judge Cathcart did order Presley - in that February 2017 hearing - to pay $50,000 of Lockwood’s attorney fees. But he refused to grant Lockwood’s plea for spousal support. Just before that hearing last year their divorce case took a sensational turn when DailyMail.com revealed that Lisa Marie claimed in court papers that she had found hundreds of indecent photos and disturbing videos of children on Lockwood’s computer. 'I was shocked and horrified and sick to my stomach,' said Lisa Marie. Lockwood denied the allegations and while the Tennessee Bureau of Investigation did look into the claims, no charges were filed. LMP hat in von ihr eingereichten Gerichtsdokumenten bzgl. der Scheidung mitgeteilt, dass sie 16 Mio. Schulden hat. Sie habe mehr als 10 Mio. Steuerschulden , 6 Mio. Hypothekenschulden von einem Haus, dass sie in London kaufte und fast 50000 Dollar Kreditkartenschulden. ]Sie verdiene monatlich lediglich 4361 Dollar von des Vaters Estate und 100000 Dollar an Dividenden von Investments. Sie lebe mit ihren Zwillingen bei Tochter Riley und ihrem Mann und beiden kämen auch für einen Teil ihrer Haushaltskosten auf. Sie zahle 120000 Dollar im Monat für Hypothekenschulden, Lebenshaltungskosten und für Kreditkartenschulden. Lisa Marie Presley states in court documents filed amid her divorce battle that she is $16 million in debt. In 2016, the 50-year-old daughter of the late Elvis Presley and fellow singer, who is also famous for her short-lived marriage to the late Michael Jackson, filed for divorce from current husband Michael Lockwood, with whom she shares twin daughters. Amid their court battle, legal documents have revealed glimpses of Lisa Marie's finances. Newly submitted documents show that she is more than $16.7 million in debt. She said she has yet to pay more than $10 million in tax bills from several years past, that she has defaulted on a $6 million mortgage she took out for a home she owns in the United Kingdom and that she also has more than $47,800 in credit card bills and also has tens of thousands of dollars owed to attorneys. Lisa Marie's documents state she earns a monthly salary of $4,361 from her late father's estate and receives $100,000 in dividends and interest from investments. She also states that she lives with the twins, her 24-year-old son Benjamin Keough, and her 27-year-old daughter Riley Keough and her husband, and that the latter two pay for some of her household expenses. She says she pays more than $120,000 a month to cover mortgage payments, rent, food, utilities, attorney fees and credit card debt. Lisa Marie detailed her debts as a response to her ex's demand that she pay more than $450,000 to cover his attorney fees. Last year, she opposed his demand that she pay his attorney fees as well as spousal support. A judge later said she must pay $50,000 to cover her ex's legal fees over a course of five months, until a trial takes place to determine the validity of a post-nuptial agreement they had signed after their 2006 marriage, which details divorce terms. Also in 2017, Lisa Marie claimed in court documents submitted as part of the divorce battle that she owes the IRS $1.5 million, owes the U.K. government more than $5 million, owes $250,000 in state taxes and hundreds of thousands of dollars in additional debt. At the time, she said her business manager did not pay taxes, which caused her to have "considerable tax liability outstanding from this income over the last several years." Sie verdiene monatlich lediglich 4361 Dollar von des Vaters Estate und 100000 Dollar an Dividenden von Investments. Damit kann man auch nicht auskommen! Sie lebe mit ihren Zwillingen bei Tochter Riley und ihrem Mann und beiden kämen auch für einen Teil ihrer Haushaltskosten auf. Sie zahle 120000 Dollar im Monat für Hypothekenschulden, Lebenshaltungskosten und für Kreditkartenschulden. Ok wo kommt der Rest her? Mit so wenig Geld wuerde ich auch nicht auskommen. Im Ernst, ich frage mich ernsthaft , was machen die mit ihren Geld. Da sieht man, dass vielen Promis der Bezug zum Geld einfach fehlt, wenn man mit solchen Beträgen nicht aus kommt. Viele neue Presseberichte zur Einreichung einer 100 Mio. Dollar-Klage von LMP gegen ihre Ex-Finanzberater/Buisiness-Manager Siegel und dessen Gegenklage gegen LMP für nicht bezahlte Rechnungen in Höhe von 800000 Dollar. Lisa`s Geschäfte wurden seit 1993 von Siegel geführt als sie ihr Erbe durch einen Trust erhielt. Ihre Klage sagt ihr ihre 11 jährige Reise in den finanziellen Ruin begann 2005 und resultiere aus den Aktionen von Siegel. Der Schaden betrage um die 100 Mio. Dollar. Siegel kontert, dass der 2005 Deal über den sie nun jammert sie aus 20 Mio. Schulden herausholte, 40 Mio. Cash brachte und einen Millionen-Stream aus Elvis was sie schaffte in den folgenden Jahren zu verschwenden. "Es ist klar, dass Lisa Marie durch eine schwere Zeit in ihrem Leben geht und versucht andere zu beschuldigen anstatt für ihre Handlungen Verantwortung zu tragen. Ich persönlich glaube nicht, dass Lisa eine Chance mit ihrer Klage hat. Wie hat sie es denn geschafft von 1993 bis 2005 20 Mio. Schulden anzuhäufen und 2005 gab sie doch in diversen IVs wo sie über den Elvis-Rechte-Verkauf sprach, mit der Begründung sie wolle das Vermächtnis von Elvis langfristig sichern indem sie es in andere Hände gibt, dabei ging es ihr doch offensichtlich nur ums Geld, die Behebung ihrer finanziellen Probleme und erneuten Wohlstand. Ich denke bei dem Rechtsstreit mit ihrem fabelhaften Ex bzgl. der Geldsachen hat sie bessere Karten. Glaube nicht, dass er Geld von ihr erhält. Warum sollte der Ehevertrag den er nach der Eheschließung unterschrieb für ungültig erklärt werde?. Wie will er beweisen, dass er dazu gezwungen wurde. Wenn sie ihm die Pistole an den Kopf hielt hätte er sie doch verlassen können, stattdessen zog er es doch vor noch Jahre lang von ihrem Geld mit ihr zusammenzulegen. LOS ANGELES (Reuters) - Lisa Marie Presley, the only daughter of Elvis Presley, says she is facing financial ruin and has filed a $100 million lawsuit accusing her former business manager of negligence and mismanaging her finances. Her ex-manager has filed his own lawsuit, accusing Presley, 50, of squandering her famous father’s inheritance because of her lavish lifestyle. The lawsuit seeks $800,000 in unpaid bills. The dueling lawsuits, filed earlier this week in Los Angeles Superior Court, follow the collapse in 2016 of Presley’s fourth marriage and her announcement that she was $16 million in debt. The 2005 deal she was referring to involved income from Elvis’ former home Graceland and his intellectual property rights. The lawsuit said that by 2016, the trust was left with $14,000 in cash and over $500,000 in credit card debt. Lisa Marie Presley was “abusing cocaine terribly,” during her marriage and mixing pills and booze she admitted in shocking court documents exclusively obtained by RadarOnline.com. Elvis‘ daughter gave a deposition on August 30, 2017 in her bitter divorce and it was there that she revealed the depths of her drug addiction and multiple visits to rehab to treat her problem. Presley admitted she had a “drug problem” for the “last three years” of her marriage to Michael Lockwood, stretching from June 2013 to June 2016. “I had to go to rehab several times. I was a mess . I couldn’t stop,” she said in the bombshell documents obtained by Radar. Presley and Lockwood were locked in a nasty legal battle and fighting over her vast fortune, which was estimated at $100 million from her late father’s estate, Elvis Presley Enterprises, but she filed a lawsuit claiming that her business manager squandered the money, leaving her with only $14,000 in cash and $500,000 in credit card debt. Lisa Marie Presley is reportedly feeling very lonely and unlucky in love and life. Who would have ever of thought that the King of Rock and Roll, Elvis Presley’s only daughter would have ever grown up to live the troubled and dramatic life she has? As previously reported, Lisa Marie Presley has been making celebrity news headlines for the past two years since she announced that she would be divorcing her fourth husband Michael Lockwood. The estranged couple has two daughters, twins Harper and Finely, and are also engaged in a heated and nasty custody battle. Since 2016, Lisa Marie has faced a slew of legal issues, drug addiction, rehab stays and financial devastation. During divorce proceedings, Lisa Marie was forced to reveal publicly that she was broke and that all her father, Elvis Presley’s inheritance money was long gone. It has also been reported that Priscilla Presley is asking for Elvis Presley memorabilia gifted to her former lovers to be returned so she can sell it to help Lisa out of her financial hole. Will Priscilla Presley help Lisa Marie through her troubles? Lisa Marie Presley is also looking for a way to help herself financially and could soon write a tell-all book about her life in hopes of making enough to pay off her $16 million debts. Life has not been easy for Lisa Marie. As stated this is her fourth divorce. So why is Lisa so unlucky in love? According to National Enquirer, Lisa’s first marriage to Danny Keough lasted only six years. At first, everyone chalked her split from Danny off to marrying too young. 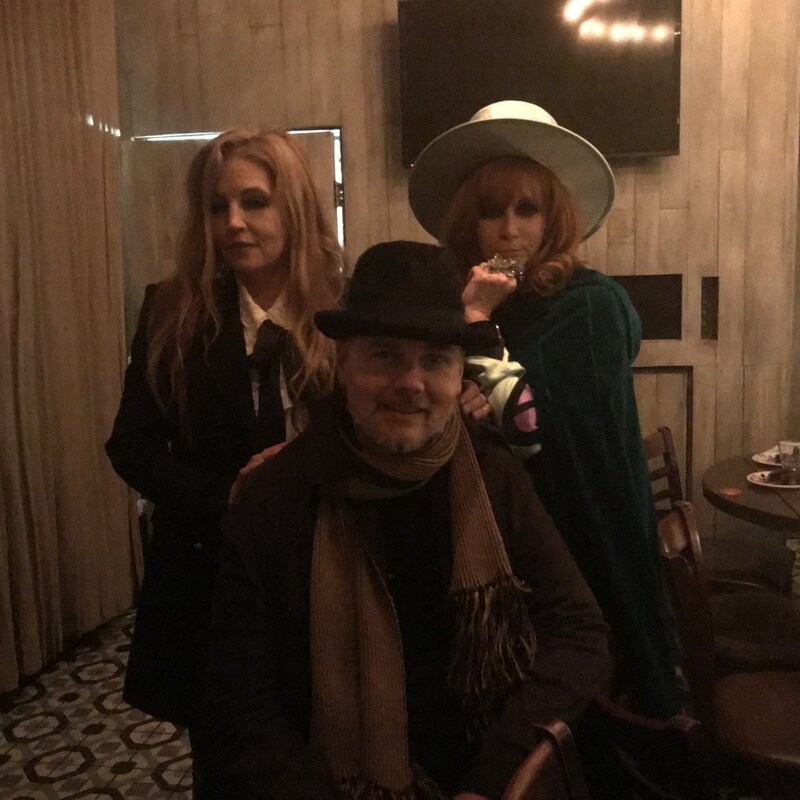 Danny and Lisa have remained relatively good friends and share two children together actress Riley Keough, and Elvis Presley look-a-like Benjamin Keough. Oddly enough, Lisa Marie Presley shocked the world just 20 days following her divorce from Keough by marrying King of Pop, the late Michael Jackson. Fans shook their heads in disbelief and attempted to try and figure out Lisa’s reasoning for this bizarre coupling. In public, Lisa Marie gushed over the marriage calling Michael Jackson a “passionate lover” and exhibiting awkward and forced displays of public affection. Two years later the couple announced that they were divorcing, citing “irreconcilable differences.” In 2000, Lisa Marie Presley became engaged to songwriter John Oszajca, the engagement did not last long, especially after Lisa’s mom pushed for an ironclad prenup. It was not too long after the break up before Lisa Marie Presley met and married “Face Off” star Nicolas Cage. Yet another quick relationship that fans could not quite wrap their heads around. The marriage to Cage, who is a huge and obsessive Elvis Presley fan lasted 108 days. So many failed relationships in one lifetime. Many wonder what is it about Lisa Marie Presley that makes it so difficult in finding true love? Many fans believe Lisa’s bad luck when it comes to love and relationship could stem from her childhood. Will Lisa Marie Presley ever find true love? Lisa Marie grew up never really knowing what a good, loving and stable relationship really looked like. 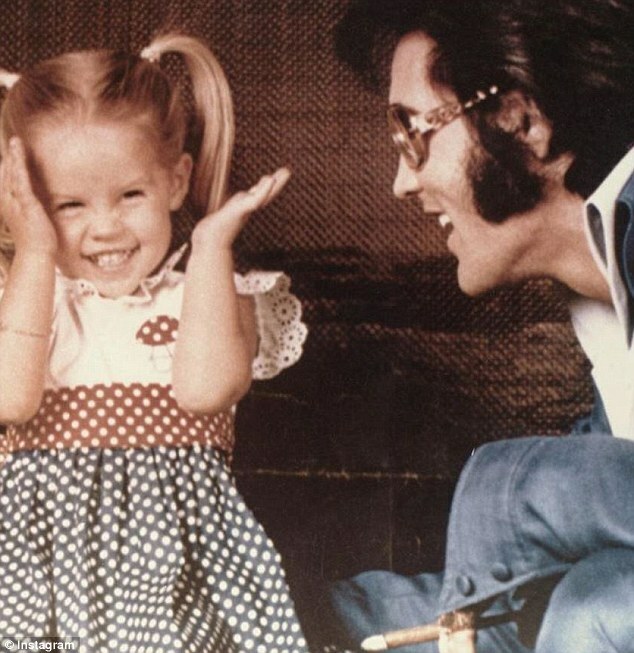 Her parents Priscilla and Elvis Presley split when Lisa was very young, and from that point on she grew up witnessing both mom and Dad engaging in numerous relationships throughout her life. Children usually grow up living what they have learned at home from their parents while growing up. Do you believe that Lisa Marie Presley’s bad luck in finances and love are a result of her upbringing? 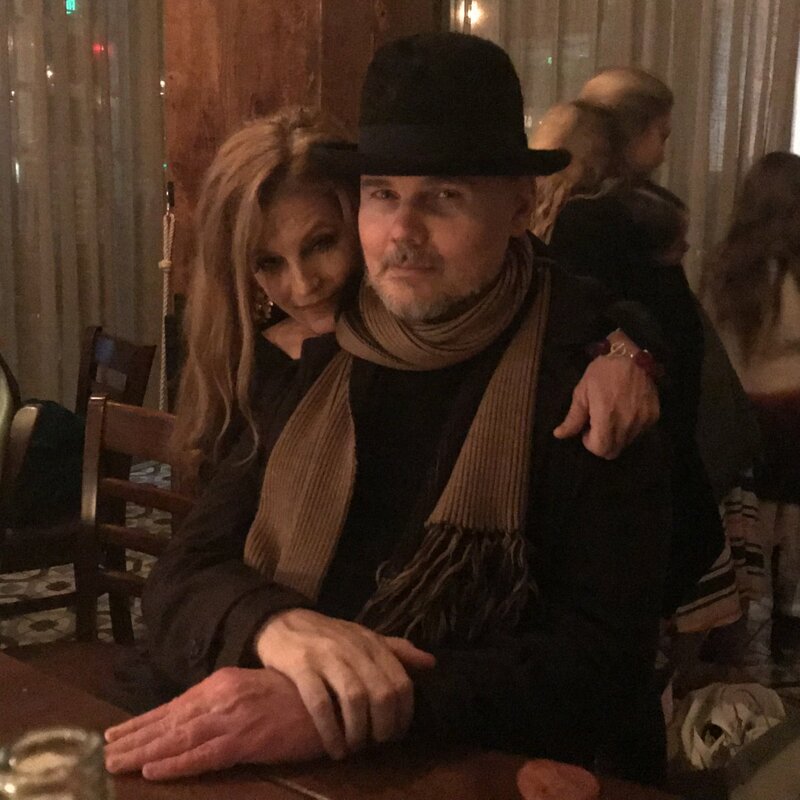 Hopefully, Lisa Marie will take some time before jumping into another marriage and the next time she falls in love it will be real, and forever. How different do you believe Lisa Marie Presley’s life would have turned out if her father Elvis Presley hadn’t died at such an early age? In diesem neuen Artikel gehts um die Tragik im Leben der Lisa Marie. Einsamkeit, Drogen, diverse Scheidungen, finanzieller Ruin. Und es soll ein Buch in Arbeit sein, in welchem Lisa Marie von ihrem Leben erzählen will. Die Einnahmen des Buches sollen ihr aus der finanziell mißlichen Lage verhelfen und auch ansonsten möchte Lisa Marie ihr Leben zum besseren verändern. 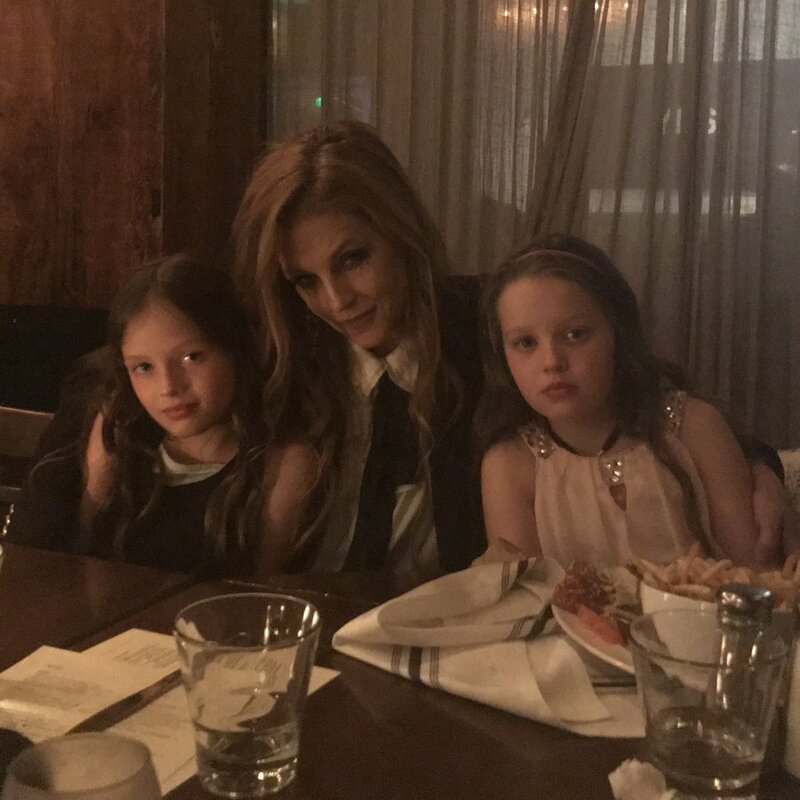 Lisa Marie Presley ist am Sonntag in Los Angeles für eine Maniküre ausgetreten. Die 50-jährige Tochter von Elvis Presley trug lässig Jeanshosen und eine rosa Bluse, die sie mit Clogs kombinierte. Lisa Marie bereitet sich gerade auf die Veröffentlichung ihres neuen Albums "Where No One Stands Alone" vor. "Ich bin so aufgeregt, zu teilen, wo niemand allein steht - ein Album, das ich koproduziert habe und das die Liebe meines Vaters zur Gospelmusik feiert", sagte sie auf Instagram. "Das war die Musik, für die er am leidenschaftlichsten war. Er war so friedlich und sang Gospelsongs. Ich bin besonders gesegnet, dass ich auch mit Dad an einem der Songs gesungen habe. " Elvis Presley starb vor mehr als 40 Jahren. Am 14. April veröffentlichte HBO "The Searcher" - eine Dokumentation, die an "The King" erinnert. Der nostalgische Film blickt auf das Leben und die Karriere von Elvis mit Hilfe von archivierten Fotos und privaten Sammlungen zurück, darunter die von Graceland. Der Dokumentarfilm untersucht seine Verbindungen zu Memphis und nutzt Interviews mit Stars der Musikindustrie wie Bruce Springsteen, Tom Petty, David Porter von Stax Records und Sam Phillips von Sun Records, um festzustellen, wie weit sich seine Kunstfertigkeit ausbreitete. Lisa Marie war die alleinige Erbin des 100-Millionen-Dollar-Vermögens ihres Vaters. Aber sie verklagt derzeit ihren Ex-Geld-Manager, Barry Siegel, für angeblich angeblich ihren Treuhandfonds in die Erde, nach TMZ . Presley behauptet "leichtsinnige und fahrlässige" Investitionen, die sie pleite gemacht haben. Lisa Marie Presley ist stolz darauf, ihre Sucht besiegt zu haben. Die Tochter des verstorbenen King of Rock'n'Roll Elvis Presley kämpfte lange mit ihrer Alkohol- und Drogensucht, bevor sie sich Hilfe suchte und heute ist sie stolz auf den Weg, den sie bereits zurückgelegt hat. In der Talkshow 'Today' sprach die 50-Jähirge am Freitag (10. August) offen über ihren Kampf gegen sich selbst und wie sie vor fünf Jahren in eine gefährliche Spirale abrutschte: "Ich bin schon sehr weit gekommen. Ich war nicht glücklich. Der Kampf mit der Sucht begann bei mir, als ich 45 Jahre alt war. Es war nicht so, als wäre das mein ganzes Leben." Heute kann sie auf diese Zeit zurückblicken und sehen, was sie bis jetzt erreicht hat. "Ich bin stolz. Ich bin einen sehr weiten Weg gegangen. Ich habe eine Therapeutin und sie sagt immer 'Du bist ein Wunder. Das bist du wirklich'. Sie weiß nicht, wie es sein kann, dass ich immer noch am Leben bin." Und während die Sängerin zwar zugibt, selbst nicht perfekt zu sein, versucht sie trotzdem immer anderen mit ihren Suchtproblemen zu helfen und weiterzugeben, was sie aus ihren eigenen Erfahrungen gelernt hat. Zur Zeit gibt es viele News rund um die Scheidung von LMP, die in vollem Gange ist. Lisa Marie Presley nahm den Zeugenstand in ihrem Prozess Scheidung Montag und warf ihr Noch - Ehemann, Michael Lockwood, der heimlich angerannt ‚möglicherweise Millionen‘ auf ihrer Kreditkarte. "Ich habe herausgefunden, dass er die Finanzen in den letzten 10 Jahren kontrolliert hat", sagte sie am ersten Tag des erwarteten viertägigen Prozesses Judge Dianna Gould-Saltman in Los Angeles Superior. Lisa Marie Presleys entfremdeter Ehemann sprach von Morddrohungen nach der Trennung. 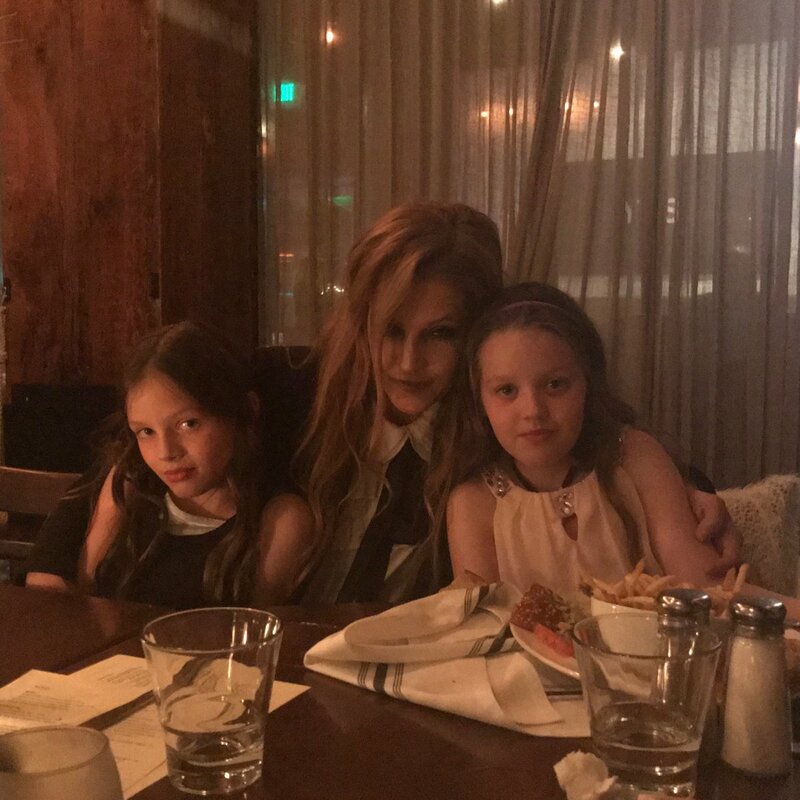 Lisa Marie Presley Noch - Ehemann, Musiker Michael Lockwood, Morddrohungen erhalten , wenn sie nach 10 Jahren Ehe geteilt, sagte sein Anwalt einem Gericht in Los Angeles am Mittwoch. "Michael hatte Morddrohungen. Miss Presley verkaufte seine Musikausrüstung, mit der er seinen Lebensunterhalt verdiente. Sie verwandelte ihn in einen Paria im Musikgeschäft ", sagte Rechtsanwalt Jeff Sturman am dritten Tag des unordentlichen Scheidungsprozesses des ehemaligen Paares mit Judge Dianna Gould-Saltman. Sturman sagte, dass, als Presley, 50, im Jahr 2016 die Scheidung einreichte, ihr jährliches Einkommen rund 2,2 Millionen Dollar betrug, während Lockwoods negative 3,300 Dollar betrug. Lisa Marie Presleys Ehemann, der Musiker Michael Lockwood, erhielt Morddrohungen, als sie sich nach zehn Jahren Ehe trennten. Sein Anwalt sagte: "Er hatte nichts - und es ist ihr egal", sagte er gegenüber dem Obersten Gerichtshof. »Sie achtet nur auf sich selbst. Sie hatte ihr Erbe von ihrem Vater und was immer sie sonst hatte und sie wollte nicht, dass er (Lockwood) ein Stück davon bekam. Das zentrale Thema des Scheidungsverfahrens ist die Gültigkeit eines von Presley und Lockwood (57) im Juli 2007 und im November desselben Jahres unterzeichneten Post-Wedt-Abkommens. Presley - die behauptet hat, dass sie Lockwoods Musikausrüstung verkauft hat, um einige ihrer Verluste von Lockwood zu erstatten, möglicherweise Millionen auf ihrer Kreditkarte - Lockwood will, dass der Richter es zerreißt und behauptet, dass es ungültig ist, weil er es vorher nicht gelesen hat er unterschrieb es, weil es ihn nicht interessierte, und sein Anwalt erklärte ihm zu diesem Zeitpunkt nicht die Details des Prenups. Vor Gericht stellte Presley - in einer cremefarbenen Seidenbluse, schwarzen Hosen und Stiefeln und einem langen schwarzen Mantel - sowohl Sturman als auch ihren Anwalt Gary Fishbein dar, wie sie den Post-Nup für ganz oder teilweise gültig erklären oder nicht. Fishbein begann damit, dem Gericht zu sagen: "Ich mache das seit 38 Jahren, und ich habe noch nie von jemandem gehört, der ein Gericht aufforderte, ein Abkommen aufzulösen, indem er sagte:" Ich habe dieses Abkommen nicht gelesen " "Ich war nicht daran interessiert." Gitarrist Lockwood wurde von Presley im Jahr 2006, dem Jahr ihrer Eheschließung, für rund 245.000 Dollar pro Jahr als ihr musikalischer Leiter und im Jahr 2007, als sie den Post-Nup unterzeichnete, 150.000 Dollar erhalten. »Also war er damals autark«, argumentierte Fishbein. "Er war nicht benachteiligt. Er verzichtete in dem Ehevertrag, den er nicht lesen wollte, auf eheliche Unterstützung. Mr. Lockwood sagte, er habe kein einziges Wort vom Post-Nup gelesen, weil es für ihn nicht interessant sei. Ehrlich gesagt, das ist umwerfend. " Lockwood hat behauptet, dass Presley ihr Vermögen vor ihm versteckt habe, aber Fishbein sagte dem Gericht, dass in einer Erklärung ihrer Vermögenswerte und Verbindlichkeiten, die dem Post-Nup 2007 beigefügt waren, ihr Wert zu diesem Zeitpunkt mit 62 Millionen Dollar angegeben wurde. "Wenn Mr. Lockwood sich die Mühe gemacht hätte, das Abkommen zu lesen, hätte er das gewusst", sagte Fishbein. "Aber er war nicht interessiert." Er fügte hinzu: "Fräulein Presley blieb in der Ehe unter dem falschen Verständnis, dass er dieses Ehevertragsabkommen einhalten würde." Lockwoods Anwalt, Sturman, fragte, ob Presley ihre Finanzen ihrem baldigen Ehemann vollständig offengelegt hatte. "Waren sie nur Fiktion?" Sturman stellte die Tatsache in Frage, dass Presleys Liste von 62 Millionen Dollar an Aktiva und Passiva nur acht Zeilen lang war, während Lockwood neun Seiten für seinen negativen Nullwert verwendete. "Sie hat ihm anscheinend gesagt" Geh Fisch. " Fishbein erwiderte: »Na und? Es gab keine falsche Darstellung, Verheimlichung oder Betrug. Mr. Lockwood hatte die Gelegenheit, Miss Presleys Finanzen zu untersuchen, aber er entschied sich dagegen. Er kann sich später nicht darüber beschweren. Als Presley am Dienstag im Zeugenstand war, gab sie zu, dass ihre Erinnerung "neblig" sei und am Mittwoch sagte Sturman, dass sie sich nicht an das Datum oder das Jahr erinnern könne, an dem sie Lockwood geheiratet habe oder wie lange ihre Ehe dauerte. »Sie kann sich nicht erinnern, ob sie mit Mr. Lockwood ein oder fünf Gespräche über ihren Post-Nup geführt hat«, sagte er. Sturman sagte, dass, als Presley 2007 Lockwood einen Vorschuss zahlte, "sie wollte, dass er nur für sie arbeitet. Also gab er seine Verbindungen in der Musikgeschäftswelt auf. Sie hat ihm einen Vorschuss gezahlt, um ihr zur Verfügung zu stehen. « Er fügte hinzu, dass, als Presley "angeblich entdeckte", dass Lockwood ihre Kreditkarte auf "Tausende oder Millionen" hochgefahren hatte ... verkaufte sie sein musikalisches Eigentum - Gitarren, Verstärker, Computer - die Dinge, die er verwendet, um seinen Lebensunterhalt zu verdienen. Sturman sagte, wenn der Post-nup vom Richter als vollgültig erklärt worden sei und Lockwood von Presley kein Geld bekommen habe, würde er nicht nur von einem Einkommen auf "Armutsniveau" leben müssen, um die Verletzung zusätzlich zu beleidigen in das Loch für Hunderttausende von Dollar in Anwaltskosten zu sein. Er hat nichts. Richterin Gould-Saltman vertagte den Fall, um ihre Entscheidung über die Gültigkeit des Post-Nup zu prüfen. Presley - der letzte Woche einen Richter dazu überredete, alle Dokumente über das Sorgerecht für die neunjährigen Zwillingstöchter des Paares, Finley und Harper, aus der Öffentlichkeit zu streichen, reichte im Juni 2016 die Scheidung von Lockwood ein. Seitdem hat sie gestanden, dass sie während der letzten drei Jahre ihrer Ehe ein ernstes Drogenproblem hatte - und mehrmals in eine Entziehungskur musste. Letzten Februar wurde Presley von Richter Patrick Cathcart beauftragt, Lockwood 100.000 Dollar an Rechtskosten zu zahlen - obwohl das weniger als ein Viertel von dem war, was er verlangte. Lisa Marie hat in Gerichtsakten gesagt, dass sie etwa 16 Millionen Dollar Schulden hat, von denen zehn Millionen Steuern geschuldet sind. Und im Februar reichte sie in Los Angeles eine separate Klage gegen ihren früheren Geschäftsführer Barry J. Siegel ein, in der sie ihn beschuldigte, ihren einmaligen 100 Millionen Dollar Trust Fund aufgebraucht und ihr 700.000 Dollar pro Monat verrechnet zu haben, wenn er ihr Vermögen verlor. Michael Lockwood behauptet, dass er seinen Ehevertrag mit Lisa Marie Presley im Jahr 2007 nicht gelesen hatte, bevor er sie in einer Anhörung im August 2018 heiratete über die Gültigkeit des Dokuments. Lockwood sagte: "Hätte ich das gelesen, hätte ich es nicht unterschrieben" und "Ich denke, es ist unfair." Auf die Frage, warum er es nicht gelesen habe, antwortete Lockwood: "Für meinen Lebensunterhalt ist das nichts Ich kann meinen Kopf einwickeln. Ich verstehe nicht, wie du es verstehst. "Auf die Frage, was er wusste, sagte Lockwood:" Ich wusste, dass sie ein Haus hat, ich wusste, wer ihr Vater war, dass sie ihre Karriere unterstützen und für ihre Band bezahlen könnte. " Das Lesen und Verstehen eines Prenups ist in den meisten Fällen nicht gut genug, um das Dokument als ungültig zu betrachten. In den meisten Ländern reicht es aus, wenn Sie die Möglichkeit haben, es zu überprüfen und durch einen unabhängigen Rechtsbeistand vertreten zu werden, der das Dokument prüft, wenn Sie die Vereinbarung unterzeichnen, ohne sie zu lesen oder alle Bedingungen vollständig zu verstehen. Die Zeit, um die Bedingungen eines Ehevertrages herauszufordern oder zu verhandeln, ist bevor man es unterschreibt, also ist es wichtig darüber nachzudenken, wie jeder Begriff den Rest seines Lebens beeinflussen kann. Lisa Marie Presley bezeugte am Dienstag, dass sie glaubte, dass ihr entfremdeten Ehemann den Rat eines Anwalts erhielt, bevor er den ersten unterzeichnete von zwei Versionen einer Nachfolgevereinbarung im Jahr 2007, die ihn daran hinderte, die Ehegattenunterstützung zu suchen, wenn sich das Paar scheiden ließ. "Ich dachte, er hätte einen Anwalt bekommen, bevor er unterschrieben hat", sagte die Tochter des Sängers Elvis Presley in Bezug auf den 57-jährigen Michael Lockwood, mit dem sie seit mehr als 10 Jahren verheiratet ist. Von Lockwoods Anwalt gefragt, ob es wahr sei, dass sie niemals Lockwoods Geld bezahlt oder ihm etwas dafür gegeben habe, dass er auf sein Recht auf eheliche Unterstützung verzichtet habe, antwortete der 50-jährige Presley: "Richtig." Das einzige Kind von Elvis und Priscilla Presley reichte im Juni 2016 am Los Angeles Superior Court die Scheidung ein, und es findet ein Prozess ohne Geschworenen über die Gültigkeit ihres Nachvertrags mit Lockwood - dem Vater ihrer 9-jährigen Zwillingstöchter - statt vor der Richterin des Los Angeles Superior Court, Dianna Gould-Saltman. Lockwood hält das Abkommen für ungültig, weil er nicht verstanden hat, was er unterschrieben hat, und weil Presley nichts dafür abgeben musste, um die Unterstützung durch die Ehegatten zu vermeiden. In einer anderen Zeugenaussage sagte Presleys früherer Anwalt Jane Saltsman, dass Lockwoods Anwalt im Jahr 2007 niemals die Gültigkeit der Verzichtserklärung der Ehegatten in Frage stellte, aber er sagte, er wolle sicherstellen, dass sein Klient am Einkommen aus gemeinsam geschaffener Musik teilhabe. Lockwood hat am Montag ausgesagt, dass er die beiden Versionen der Nachvertragsvereinbarung, die Presley ihm im Juli und November 2007 vorgelegt hatte, nicht gelesen hat, bevor er sie unterschrieb. Er sagte auch, dass er mit seiner gegenwärtigen Freundin verlobt ist und plant, sie zu heiraten, nachdem seine Scheidung von Presley abgeschlossen ist. Lisa Marie Presley hat gerade es mit ihr bald gehabt sei Ex-Vierter Ehemann Michael Lockwood. Das ehemalige Paar hat seit 2016 die ganze Scheidung durchgemacht und es wird einfach zu viel. Radar Online berichtet, dass sich Lisa Marie Presley und Michael Lockwood heute vor Gericht gestellt haben und es war kein angenehmes Treffen. Lockwood hat Lisa Marie geradezu beschuldigt, Geld versteckt zu haben und vorsätzlich vor Gericht zu lügen, um ihm die Unterhaltszahlungen zu verweigern, von denen er glaubt, dass sie dazu berechtigt sind. Lisa Marie bezeugte jedoch vor einem Gericht in Los Angeles, dass Michael Lockwood während ihrer gesamten Ehe Millionen von Dollars gestohlen habe, und er fühlt sich allein dadurch stark, dass er KEINE Unterstützung von seiner Frau erhält. Elvis Presleys einziges Kind, Lisa Marie, erklärte am Montag im Los Angeles Superior Court, dass sie glaube, dass Lockwood das Ehevertragsabkommen überprüft hatte, bevor er es im November 2007 unterschrieb. Lockwoods Anwalt fragte dann Presley, ob es seiner Meinung nach fair sei Jegliche Unterstützung von der Ehegattin erhalten, wenn ihre Ehe endete und Lisa antwortete: "Richtig." "Du fandest es fair, weil du keinen Mann gewollt hättest, der Geld von dir wollte. Hättest du gewusst, ob er so war, oder? ", fragte Sturman Presley. Das Scheidungsdrama brodelt jetzt, und die große Frage, die jetzt beantwortet werden muss, ist, ob das von Presley und Lockwood unterzeichnete Nachkaufabkommen gültig ist oder nicht. Gary Fishbein, der Rechtsanwalt von LMP, erklärte in den Gerichtsakten, dass Michael Lockwood wusste, dass er von Presley auf seine Unterstützung durch die Eheleute verzichten würde, als er den Vertrag unterzeichnete. Lockwood behauptet jetzt nur noch "Unwissenheit", selbst wenn er die Möglichkeit hatte, vor der Unterzeichnung die Vereinbarung über die Nachfolge zu verhandeln, schrieb Fishbein in einer eidesstattlichen Erklärung. Lisa gab auch während ihrer Aussage an, dass Lockwood "Millionen von Dollars" in Kreditkartenrechnungen angeklagt hatte, Anklagen, die sie nur im November 2015 gefunden hatte. Sie sagte, dass sie diese Anklagen als von Lockwood geschuldetes Geld betrachtet nicht zurückgezahlt. "Wenn sie glaubte, dass sie Millionen von Dollars von Michael Lockwood schuldete, hätte sie das als einen Vorteil hingestellt", erklärte Sturman gegenüber Radar, der der explosiven Anhörung folgte. "Das würde bedeuten, dass sie nicht glaubte, dass ihr solche Schulden geschuldet waren. ... Eines Tages sagt sie, er habe ihr tausend Dollar gestohlen, im nächsten sagt sie "Millionen". Das stimmt mit der Art überein, wie sie ausgesagt hat: Sie ist durchweg inkonsequent. " Fishbein lehnte es ab, sich zu der Anhörung zu äußern. Die Anhörung wird am Mittwoch in den Gerichtshöfen von Los Angeles fortgesetzt. Es war eine lange und ermüdende Woche für Lisa Marie Presley, die, wie bereits berichtet, die letzten Tage in Memphis während der Elvis Presley Week 2018 mit Fans ihres verstorbenen Vaters verbracht hat. Während der Woche, wie bereits berichtet, fand Lisa Marie Presley in mehreren der Aktivitäten statt. Sie fand auch in einem Interview bei ITV's Lothringen statt, um über eine neue Elvis Presley Compilation Zukunftspläne zu sprechen. Leider wurde Lisa Marie Presley während des Interviews Berichten zufolge grausam verspottet und in sozialen Medien getestet. Es dauerte nicht lange, bis Elvis Presley-Fans auf der ganzen Welt von dem grausamen Spott erfuhren und auf Twitter auch Worte der Ermutigung und des Lobes für die Musiklegende-Tochter veröffentlichten. Lisa Marie Presley wird voraussichtlich am 16. August zum 41. Todestag ihres Vaters Elvis Presley und der jährlichen Kerzenlicht-Mahnwache nach Memphis zurückkehren. Holen Sie sich die neuesten Elvis Presley Family News Updates heute. Michael Lockwood argumentiert, dass ehemalige Ehepartner Zustimmung ist in fiesen Scheidung Kampf ungültig. Die gerichtliche Auseinandersetzung zwischen Lisa Marie Presley und ihrem Ex über ihre Ehe nach dem Eheschließungsvertrag ist laut Gerichtsdokumenten, die ausschließlich von RadarOnline.com erhalten wurden, noch nicht abgeschlossen. In Gerichtsdokumenten, die am 27. August 2018 eingereicht wurden, sagte Michael Lockwood, er stimme einer kürzlich ergangenen Gerichtsentscheidung nicht zu das fand die Post-Ehe-Vereinbarung, die er und Presley unterzeichneten, um gültig zu sein. Im Jahr 2017, nach dem die beiden Parteien vereinbart haben, werden beide Parteien keine Unterstützung oder Eigentum von anderen erhalten, falls ihre Ehe sich auflösen sollte. Nach einer dreitägigen Zeugenaussage entschied ein Richter von Los Angeles am 17. August 2018, dass das post-annuale Abkommen gültig sei. Nach kalifornischem Recht muss ein Richter eine Entscheidung bestätigen, bevor ein Fall bei einem Berufungsgericht eingereicht werden kann. Lockwood und sein Anwalt, Jeff Sturman, haben daraufhin einen Antrag auf Erlass einer Verfügung gestellt. Presley reichte die Scheidung von Lockwood im Juni 2016 nach 10 Jahren Ehe ein. Sie haben zwei Zwilling 9-jährige Töchter, Harper und Finley. "Ich fordere den Gerichtshof auf, sein Urteil vom 17. August 2018 zu bestätigen, damit ich jetzt mit einer Berufung fortfahren kann und nicht bis zu einem späteren Zeitpunkt warten muss", schreiben Lockwood in einer Erklärung. "Dieser Gerichtshof hat wegen eines anhängigen Verfahrens im Zusammenhang mit dem Abhängigkeitsgericht keine Probleme in Bezug auf das Sorgerecht für unsere Zwillingstöchter geprüft. Während ich glaube, dass dieser Fall abgelehnt wird, auch wenn es ist, weiß ich nicht, wie lange es dauern wird, das Sorgerechts-Problem zu lösen. Daher, wenn ich die Entscheidung vom 17. August 2018 nicht anfechten kann, bis Sorgerechtsfragen (und vielleicht andere Probleme) gelöst werden, scheint es, dass meine Gelegenheit, eine Berufungsgericht Überprüfung der 17. August 2018 zu haben, unbegrenzt verzögert wird, was weiter verschieben wird meine jüngste Unterstützung durch die Ehegattin für den Fall, dass das Berufungsgericht mir zustimmt, dass das Post-Supreme-Abkommen nicht gültig oder durchsetzbar ist. " Sturman schrieb in der eidesstattlichen Erklärung, dass der Scheidungsfall nicht geregelt werden kann, bis die Gültigkeit des Abkommens "endgültig festgestellt" ist. haben, um die Gewährung von Parteigebühren zu ersuchen." Presley und ihre Anwälte haben gegen den Antrag von Lockwood, die Entscheidung nach dem Rücktritt zu bestätigen, Einspruch erhoben , laut Gerichtsakten. Obwohl Lisa Marie Presley erst neun Jahre alt war, als ihr Vater Elvis Presley auf tragische Weise verstarb, sagt die Sängerin, dass sie sich ihrem verstorbenen Vater heute immer noch nahe fühlt. Während eines Interviews, um ihr neues Duett mit Elvis zu promoten, "Wo niemand alleine steht", enthüllte Lisa Marie, 50, dass sie ihren Vater in einigen Augenblicken ihres Lebens um Führung bittet. "Ich würde nicht sagen, dass ich mit ihm rede ... ich erinnere mich einfach an alles. Ich kann irgendwie aus den Akten ziehen, was immer meine Erinnerungen haben und solche Sachen. Und gelegentlich um Hilfe bitten. Was bei dieser Platte der Fall war. Ich fühlte mich wie eine Hand, die auf mich zukam, es fühlte sich ein bisschen an ", sagte sie in der britischen Talkshow Lorraine. 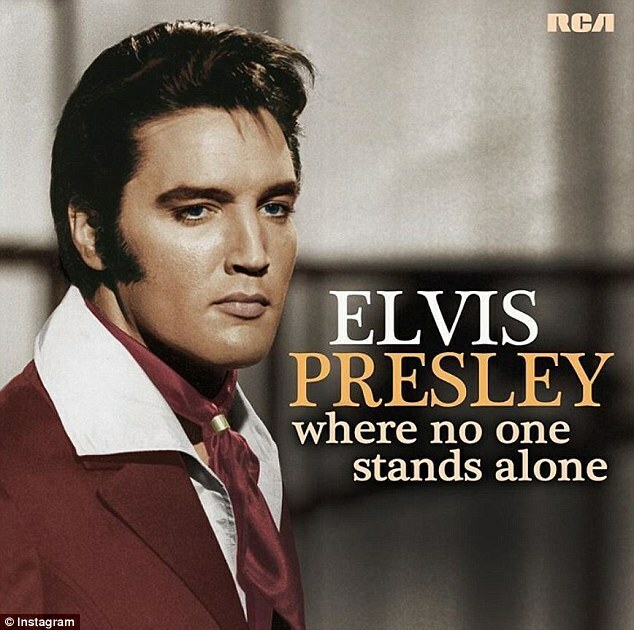 Lisa Marie gab auch zu, dass es "emotional" sei, eine neue Duettversion von Elvis 'Gospelsong "Where No One Stands Alone" auf dem neuesten posthumen Album des King of Rock'n'Roll aufzunehmen. "Ich fühlte mich einfach sehr emotional. Es ist nie angenehm zu singen und zu weinen. Das kann man einfach nicht gut machen. Ich musste meine Fassung bewahren, aber ich fühlte mich sehr verbunden mit ihm und dem Song", erzählte sie die Erfahrung. Lisa Marie wurde im Februar 1968 von Elvis und seiner Frau Priscilla Presley geboren . Neun Jahre später starb Elvis leider im Alter von 42 Jahren, nachdem sie im August 1977 einen Herzinfarkt erlitten hatte. Lisa Marie erzählte, dass sie sich kürzlich in Lorraine niedergelassen hatte von einem süßen Zitat erfuhr ihr Vater einmal über Vaterschaft. "Es gab ein Zitat an der Wand, als ich die [neue Graceland] Ausstellung verließ, es sagte etwas wie, 'ein Vater zu werden ist das Beste, was mir jemals passiert ist'. Ich hatte es noch nie zuvor gesehen, letzte Nacht war das erste Mal, dass ich es gesehen habe, das war wirklich cool ", sagte sie. Dieser Artikel erschien ursprünglich auf Closer. Ein Richter in Los Angeles hat entschieden, dass Dokumente über Lisa Marie Presleys geistige und körperliche Gesundheit unter Verschluss sein werden - während Elvis 'Tochter ihren fiesen Scheidungsfall mit Ex Michael Lockwood, RadarOnline.com fortsetzt hat gelernt. Presley, 50, reichte die Scheidung von Lockwood, 57, im Juni 2016 nach 10 Jahren Ehe ein und die beiden kämpfen seitdem vor Gericht. In der jüngsten Entscheidung, eingereicht am 7. September 2018, Richter Joseph Lipnerwrote, dass "alle Aufzeichnungen, Dokumente und Schriftsätze in Bezug auf alle Sorgerechtsfragen und Bestellungen, einschließlich, ohne Einschränkung, Aufzeichnungen in Bezug auf die geistige und körperliche Gesundheit der beiden Parteien oder die Parteien, soweit solche Aufzeichnungen im Zusammenhang mit einer Sorgerechtsantragstellung für Kinder und ihren minderjährigen Kindern eingeführt werden, müssen unter der Voraussetzung eines etwaigen Versäumnisantrags vor diesem Gericht eingereicht werden. " Eine Anhörung bezüglich dieser Bestellung wurde für den 10. Oktober 2018 gemäß der eidesstattlichen Erklärung festgelegt. Letzten Monat gewann Presley eine gerichtliche Auseinandersetzung, nachdem ein anderer Richter das von Presley unterzeichnete Post-Wedtial-Abkommen und Lockwood für gültig erklärt hatte. Im Rahmen dieser Vereinbarung von 2017 stimmten beide Parteien zu, keine Ehegattenunterstützung oder Vermögen voneinander zu erhalten, sollten sie sich scheiden lassen. Lockwood sagte, er beabsichtige, diese Entscheidung über die Ehe nach dem Eheschließungsvertrag zu bekämpfen und den Fall vor ein Berufungsgericht zu bringen. Er ist der Vater von Presleys neunjährigen Zwillingstöchtern Harper und Finley. Presleys entfremdetes Ehepaar Michael Lockwood, der immer noch die Ehesiedlungen bekämpft. Lisa Marie Presleys Ex, Michael Lockwood, gewann vor Gericht eine Schlacht und könnte näher daran sein, Schritte zu unternehmen, um gegen die Entscheidung eines Richters über die Gültigkeit ihrer Ehe-Ehe-Vereinbarung Rechtsmittel einzulegen, erfuhr RadarOnline.com exklusiv. Bei einer Anhörung vor dem Gericht in Los Angeles am Dienstag, den 25. September 2018, sagte Richterin Dianna Gould-Saltman, dass sie Lockwoods Bitte zugestimmt habe und sagte: "Jetzt ist die richtige Zeit", um ihre eigene Entscheidung zu überprüfen, dass das ehemalige Ehepaar nach der Hochzeit starb Vereinbarung ist "gültig und vollstreckbar". Lockwoods Anwalt, Jeff Sturman, bittet um eine "Entscheidungserklärung", in der Gould-Saltman die Gründe darlegt, warum sie entschieden hat, dass das Post-Nup des ehemaligen Paares gültig ist. Sturman sagte, er brauche eine Entscheidung, um die Entscheidung nach Abschluss des gesamten Scheidungsurteils einzulegen. Nach dem Post-Nup von November 2017 stimmten sowohl Presley als auch Lockwood darin überein, dass sie weder Unterstützung noch Eigentum von den Ehegatten erhalten würden, falls sich ihre Ehe auflösen sollte. In Gerichtsakten sagte Sturman, dass Presley Lockwood trotz der gemeinsamen Ehe keine Unterstützung durch die Ehegatten zahlt. Sturman fügte hinzu, dass Presley ein monatliches Einkommen von ungefähr $ 183.000 pro Monat hat, während sein Kunde nur ungefähr $ 2.500 pro Monat verdient. Elvis 'berühmte Tochter war nicht am Dienstag zu hören, aber ihr Anwalt, Gary Fishbein, argumentierte, es wäre unfair für seinen Mandanten, die Bürde von mehr Anwaltsgebühren schultern zu müssen, sollte Lockwood weiterhin die Gültigkeit der post-annualen Vereinbarung anfechten. Er argumentierte, Lockwood solle stattdessen die Entscheidung anfechten, nachdem das gesamte Scheidungsurteil abgeschlossen sei. Nachdem Sturman gesagt hatte, dass er nicht weiter um zusätzliche Anwaltskosten bitten würde, sagte Gould-Saltman, dass sie Sturmans Bitte ebenso berücksichtigen würde wie Fishbeins Widerstand. "Ich denke, jetzt ist eine angemessene Zeit, um das Urteil zu prüfen", sagte Gould-Saltman. "Das Gericht wird das Berufungsurteil bestätigen. Nachdem ich nun den Antrag auf Entscheidung gefunden habe, werde ich das prüfen und ich werde mir auch die Einwände ansehen. ... Nachdem ich (Sturmans) Bitte und (Fishbeins) Einwände nicht gesehen hatte, schrieb ich (die Entscheidung) mit der Idee, dass es eine Entscheidung sein würde, die alle kontroversen Fragen ansprechen würde. Ich schätze, wenn ich die Bitte sehe, werde ich sehen, was Mr. Sturman vermisst hat. " In ihrem Beschluss vom 17. August 2018, dass das Ehevertragsabkommen gültig ist, schrieb Gould-Saltman Lockwood "wurde durch einen kompetenten Familienrechtsberater durch den Prozess vertreten. Er (Lockwood) kann sich nicht darüber beklagen, dass er nicht genug Informationen hat, als er, wie er aussagte, sich weigerte, die Informationen zu sehen, die ihm zur Verfügung gestellt wurden. " Nach der Anhörung vom Dienstag teilte Sturman Radar exklusiv mit, dass er die Entscheidung des Richters für" die richtige Entscheidung "halte. "Sturman fügte hinzu, dass er auf diese Entscheidung warten müsste, bevor er mit einer Berufung fortfahren würde. Bis dahin ist eine endgültige Entscheidung über die Scheidung noch nicht abgeschlossen. Presley reichte am 24. Juni 2016 nach 10 Jahren Ehe die Scheidung von Lockwood ein. Das ehemalige Paar hat zwei Töchter, Zwillinge Harper und Finley. Lisa Marie Presley kämpft um das alleinige Sorgerecht ihrer Zwillingstöchter. Presley reichte letzte Woche Dokumente ein, um das primäre körperliche Sorgerecht für ihre Töchter Harper Vivienne Ann und Finley Aaron Love mit Ex-Ehemann Michael Lockwood zu suchen. Die Mädchen waren zuvor im Rahmen einer seither abgelaufenen Verfügung des Amts für Suchtkrankenpflege durch die Abteilung für Kinder- und Familienhilfe unter Schutz gestellt worden. Presley und Lockwood waren 2006 verheiratet und sie gebar die Zwillinge zwei Jahre später. Sie hat die Scheidung im Jahr 2016 nach 10 Jahren der Ehe eingereicht. Das Paar hat die letzten Jahre damit verbracht, über Geld zu streiten. Presley kämpft hart, um die nachträgliche Vereinbarung, die sie und ihr Ex-Mann unterzeichnet haben, durchzusetzen, die besagt, dass keine Seite das Recht auf eheliche Unterstützung "zu jeder Zeit, unabhängig von den Umständen" haben darf. Presley's Ex-Managerin sagt, dass sie mehr Geld ausgegeben hat als ihr Trust zur Verfügung stellen würde. Lisa Marie Presleys ehemaliger Geschäftsleiter sagte, er habe sie wiederholt davor gewarnt, ihre Ausgaben zu sehen, aber die berühmte Tochter von Elvis habe angeblich nur mehr Geld ausgegeben, als ihr Trust nach Gerichtsdokumenten, die ausschließlich von RadarOnline.com bezogen wurden, bereitstellen würde! Laut Gerichtsakten am 10. Oktober eingereicht, Barry Siegel, der als Business - Manager bedient und Co-Treuhänder von Trust Presley, hält er keine Informationen über den Fond zu verbergen hat oder wie viel in einem finanziellen Loch in Presley war. Presley beschuldigt Siegel, das Vermögen ihres Vaters verschwendet zu haben, und behauptet, dass ihre ehemalige Geschäftsleiterin ihr $ 100 Millionen Erbe verloren habe, einschließlich einer fehlgeschlagenen Investition in American Idol. Presley verklagte Siegel wegen Vertrauensbruch, Verletzung der Treuepflichten, Fahrlässigkeit, Betrug, fahrlässiger Falschdarstellung und ungerechtfertigter Bereicherung und Buchhaltung. Sie beschuldigte Siegel "rücksichtslose und fahrlässige Misswirtschaft und selbstsüchtigen Ehrgeiz". Siegel, der Senior-Geschäftsführer der Finanzfirma Provident Financial Management, LLC, sagte in seiner Erklärung, dass Presley verschiedene falsche Anschuldigungen in der Klage gemacht, und das Er versuchte mehrmals, ihr zu sagen, sie solle ihre Ausgaben einschränken. "Zusätzlich zu diesen Finanzberichten würde ich auch andere finanzielle Probleme behandeln, mit denen sie des Trust konfrontiert war", sagte Siegel in seiner Erklärung. In der Tat, um sie davon zu überzeugen, ihre Ausgaben zu reduzieren, würde ich oft detaillierte monatliche Einnahmen und Ausgaben-Aussagen mit Lisa überprüfen, weil sie routinemäßig mehr auf monatlicher Basis ausgeben würde als sie in den Trust erhalten. Ich riet ihr wiederholt, dass sie ihre Ausgaben reduzieren müsse, aber sie lehnte es ab. So ist die Behauptung, dass ich die finanziellen Bedingungen des Trusts oder Lisas verbarg, einfach falsch. " Siegel sagte auch, dass Presley ausdrücklich nicht wollte, dass Kopien ihrer Finanzunterlagen" herumliegen ", weil" die Leute immer in ihre Wohnung ein- und ausgingen ". Da Presley einen widerruflichen Trust hatte, sind alle Einnahmen und Ausgaben für Presleys persönliche Steuern steuerpflichtig, sagte Siegel in der eidesstattlichen Erklärung. Der Geschäftsleiter sagte, er würde die Trust-Informationen und die Steuererklärungen mit ihr überprüfen, aber Presley hat angeblich niemals Kopien ihrer Rückgaben aufbewahrt, die ihr zur Verfügung gestellt wurden. Nach fast einem Jahrzehnt sagte Siegel, dass Presley ihn im März 2016 als Co-Treuhänderin absetzte und stattdessen ihre Kinder ernannte. Presley behauptet, Siegels Misswirtschaft habe ihr auch 500.000 Dollar an Kreditkartenschulden gelassen. Die Klage läuft und beide Seiten werden voraussichtlich im November vor Gericht erscheinen. In der Zwischenzeit löst sich Presleys Scheidung von ihrem entfremdeten Ehemann Michael Lockwood ein neues Fenster auf. , ist auch auf einem Stillstand, nachdem Lockwood sagte, dass er plant, eine vor kurzem gerichtliche Entscheidung zu bekämpfen, die ihre post-Ehevereinbarung bestätigt, die besagt, dass Presley ihm keine Unterstützung der Ehegatten bezahlen muss.